Longer cruises to Hawaii are what you can expect from fall 2018 through spring 2019 when two Holland America Line ships sail roundtrip cruises to Hawaii from the west coast. Nine cruises with itineraries ranging from 16 to 20 days are planned for Eurodam and Amsterdam. Hawaii sailings depart from Seattle, Washington; Vancouver, British Columbia; and San Diego and Los Angeles, California. Most itineraries feature an overnight call in Honolulu. There’s plenty of time to visit Pearl Harbor, stroll along famous Waikiki Beach, drive up to Diamond Head State Monument or spend the evening at a traditional Hawaiian 1950’s-style luau dinner show. The cruises also call at Hilo, Nawiliwili and Lahaina, with most adding a call at Kona. A second 18-day voyage is available aboard Eurodam Nov. 11, 2018, roundtrip from San Diego. Guests will visit the same Hawaiian ports, as well as calls at Kona, Hawaii, and Ensenada, Mexico. There is also a holiday getaway planned aboard Amsterdam’s 17-day Hawaii Holiday cruise, roundtrip from Los Angeles on Dec. 21, 2018. In 2019, three similar itineraries are planned aboard Eurodam, including two 17-day sailings departing Feb. 3 and Feb. 20, as well as a 16-day sailing, embarking April 13. A longer vacation is possible on the April 13 cruise if you disembark in Vancouver after visiting Victoria making it a 20-day voyage. 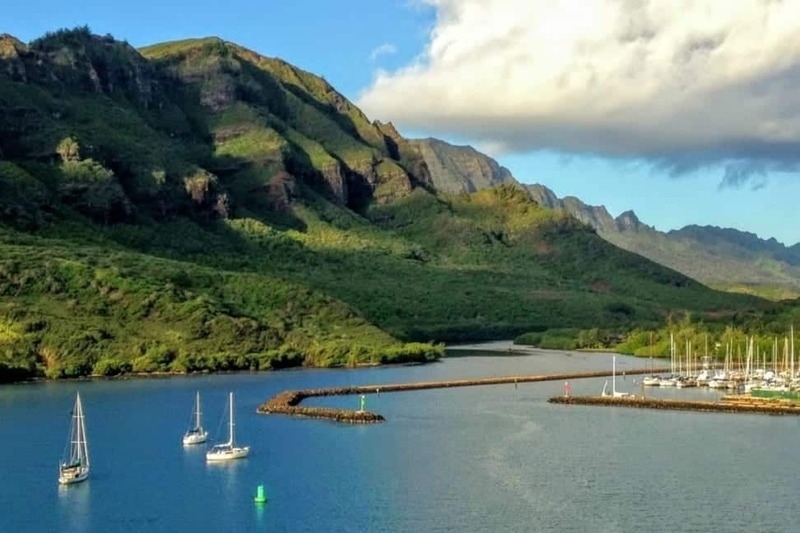 If you would like more adventures in Paradise in the South Pacific, hop aboard Eurodam’s 28-day Hawaii, Tahiti and Marquesas voyage beginning on March 9, 2019. Roundtrip from San Diego, this cruise visits six ports in French Polynesia, including overnights in Bora Bora and Papeete. Also on the itinerary are two ports in Hawaii and a call at Fanning Island. Fares for the 28-day Hawaii, Tahiti and Marquesas Voyage begin at $5,179. Fares for the 51-day Tales of the South Pacific voyage begin at $6,899. All rates are per person, double occupancy. Holland America’s Explorations Central programming brings Hawaii’s local traditions, culinary tastes and cultural experiences onboard. Guided by locals, guests can immerse in Polynesian culture through lei making, ukulele lessons, hula dancing classes and Hawaiian language classes. EXC Talks, led by resident EXC Guides provide new perspectives on the region’s stories. Culinary enthusiasts can stop in at America’s Test Kitchen for a cooking demonstration, cooking class or themed mixology class featuring local fare. The Dining Room and Lido Market will feature the flavors of Hawaii. While poolside, Hawaiian Luau and Hawaiian beer tastings bring even more of the Aloha Spirit onboard. Reach out to Holland America for more information.